Ten minutes walk from my house is a little fishing pond. 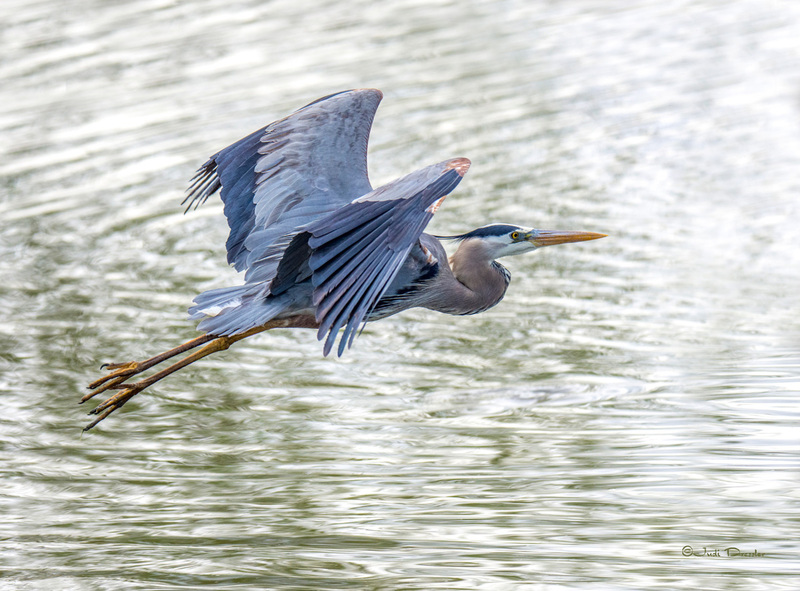 Mallards and Canada Geese hang out year round, but in the spring and summer, sometimes there’s a Great Blue Heron there. I had walked over with my camera, not sure what I would see, but as soon as I got close I noticed the heron. S/he noticed me too, and took off immediately, flying over the water. I like the swirls of the water in contrast to the bird’s crisp feathers.